With country living comes responsibility. Chances are that you have chosen to live in the country because you cherish the peace and quiet, the wide open spaces, and the beauty of nature. However, with this enjoyment and independence often comes responsibility. Most drinking water supply and sewage disposal in rural areas of York County is done on-lot. As a property owner, you are responsible for maintaining your drinking water well and septic systems. Understanding how they are built, work, and how to keep them operating effectively and efficiently is good for your family’s health, your household budget, and the environment. Replacing these systems can be expensive. 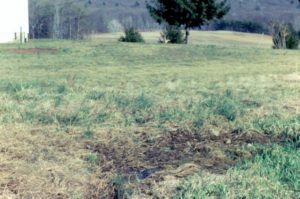 If you own one of the thousands of septic systems in this county, someday you may have problems with it. Effluent (wastewater from the septic tank) may back up into your plumbing or pond on your lawn. Besides being unsightly, a nuisance, and the cause of health problems, failing systems are often difficult and costly to fix. York County residents are invited to request a “Managing Your On-lot Disposal System” workshop in your community. The York County Conservation District sponsors these programs each year in the spring and fall featuring leading local experts in septic system design, operation and maintenance, and sewerage regulation and enforcement. The program lasts approximately 2-hours. 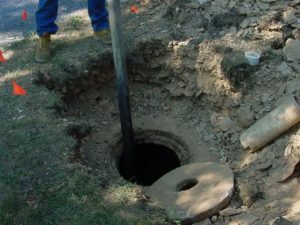 Homeowners will have the opportunity to get basic information about septic system design, location, and construction; get expert advice on how to properly operate and maintain them; and learn about whom to call for help with a failing septic system. Bring your questions for our expert panel to answer. 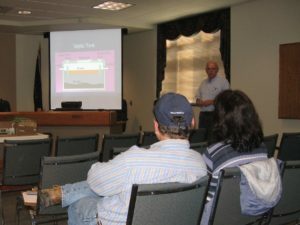 For more information about Managing Your On-Lot Disposal System workshops, contact Gary R. Peacock, Watershed Specialist, at 717-840-7687 or e-mail gpeacock@yorkccd.org.